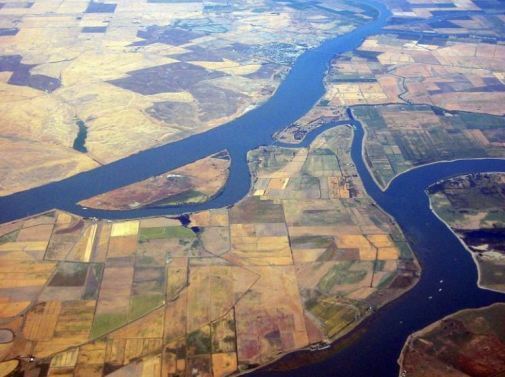 (CN) – Silicon Valley’s water district kicked the can down the road Wednesday night, deferring a critical decision regarding the funding of Delta Tunnels until next Tuesday. The Santa Clara Valley Water District board of directors was set to cast votes on whether to contribute $650 million toward the construction of the Delta Tunnels project, an enormous water infrastructure project designed to siphon water from the Sacramento-San Joaquin River Delta to Southern California via two enormous underground water tunnels. “There’s no reason to rush this and I still have a lot of questions,” said Director Linda LeZotte, adding she wanted to be able to articulate her position either way. The “Met” LeZotte referred to is the Metropolitan Water District of Southern California, which voted last April to underwrite $11 billion of the $16.7 billion water infrastructure project that Gov. 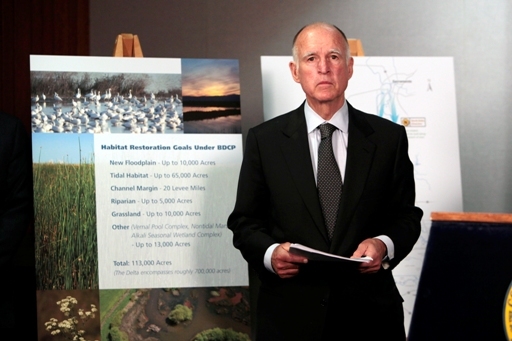 Jerry Brown and state officials dub the WaterFix. The metropolitan district’s decision is widely viewed as a signal that the Delta Tunnels, which many people saw as doomed, may actually be brought to fruition. This is certainly how Santa Clara staff viewed the vote. Camacho and other staff members treated Water Fix as an inevitability and said if Santa Clara Valley agreed to join the Joint Powers Authority, they would be represented on the board and could have a say in how the project plays out. It was a position adopted by at least four of the seven-member board of directors, meaning the delay to next week is more of a courtesy for some board members who asked for more time to digest voluminous amounts of information than a true reconsideration of staff position. Nevertheless, joining the JPA was not popular among meeting attendees. About 40 speakers provided input to the board during the 6-hour meeting, and only four of them, mostly representatives for business or trade associations, spoke in favor of the project. “This is just a water grab for Southern California,” said Les Kishler, a local resident. However, Santa Clara Valley staff noted that Silicon Valley gets about 50 percent of its water from the Sacramento-San Joaquin River Delta and that cutting itself out of the future of water infrastructure in the state could have dire impacts on water reliability on down the road. The Delta Tunnels project, pushed by Brown as a legacy project, purports to offer a solution to the persistent water problems plaguing California for decades. Brown and Delta Tunnels proponents say the tunnels, which are 35 miles long and four stories high, will be easier on fish and provide the same type of agricultural and economic benefits to which farmers have grown accustomed.